I have been harping on about this makeup “base” to virtually anyone who will listen. 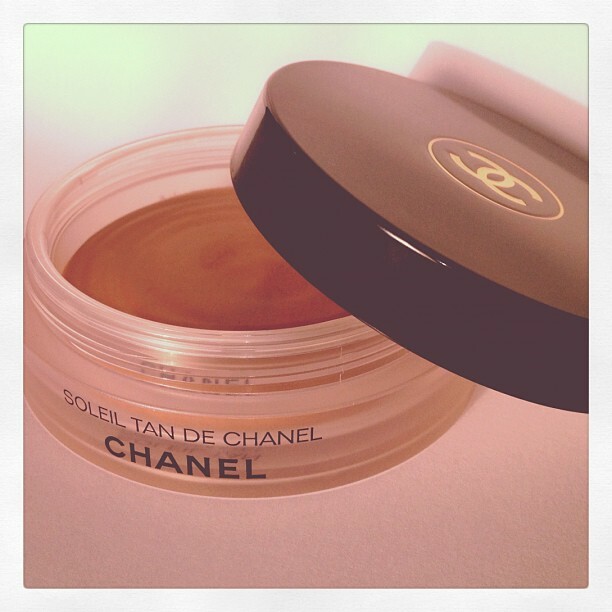 It’s actually called (stay with me here) Chanel Soleil Tan de Chanel Bronze Universel Embellisseur Effet Halé, or Bronzing Makeup Base, but if you ask me (and I’m going to tell you anyway) it should be called Chanel Perfect Tan Cream Bronzer. I’ll give Chanel that name for free. Cream Bronzer is, I’d say, a far more accurate description of this product. Makeup Base suggests that you would use it all over the face and also that you would apply it before your makeup, but it is at its most effective, I think, when applied over foundation (or tinted moisturiser) as a hint of bronze. It’s the perfect shade for contouring or ‘sunkissing’ the face and it’s the perfect consistency for applying with fingertips. You just pat the bronzer and blend into the skin – even better if you can be bothered to blend it in with a brush! It’s really buildable, so you can keep on buffing it in and applying a little more if you want a really sculpted (or tanned!) look. Because the effect is so subtle, this is great for fair skins. It looks scarily ‘tan’ at first, but it blends away very nicely and is pretty much foolproof. Once on the skin it is absolutely matte – there’s no dewy finish. In fact, there’s no ‘finish’ at all, it just disappears into the skin as though you’ve just dusted on a fine layer of extremely pale bronzing powder. Layer it up and there’s still no sign of a slick or creamy finish – the bronzer just becomes part of the base. Now the name, I suppose, begins to make sense. The Bronzing Makeup Base has become a staple for me, and apparently it’s a staple for quite a few other people too, because I have been told that it goes out of stock on a regular basis. (Make more, Chanel!) If you’d like to see me applying it, I did so in a recent-ish video, Makeup for my Casting.